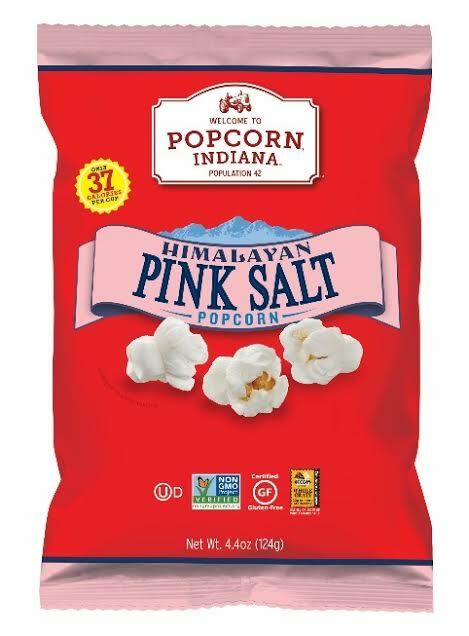 Popcorn, Indiana, maker of America’s #1 Kettlecorn, is excited to introduce its Himalayan Pink Salt flavor to the marketplace. Inspired by the small town that bears its name, these delicious little bursts of joy that come out of the big red bags are enhanced with Himalayan Pink Salt, offering rich popcorn flavor with a subtle, pleasing salt taste. The Himalayan Pink Salt flavor is Non-GMO Project Verified, Certified Gluten Free, and Certified Kosher. With no artificial flavors, colors or preservatives, and Zero Trans Fat, this ready-to eat snack contains just 37 calories per cup, making it the perfect choice for school lunches, a midday work snack or a pre-exercise pick-me-up. Himalayan Pink Salt joins the already popular portfolio of Popcorn, Indiana flavor offerings that include ready-to-eat popcorn and a portfolio of decadent Drizzlecorn® flavors. Himalayan Pink Salt is available at national, regional and local retailers across the U.S. and Canada in 4.4 oz bags. For more information, visit www.popcornindiana.com, Instagram, Facebook, or Twitter. Popcorn, Indiana is a real place. It’s a small town, in the heart of corn country. Population 42. And yet, somehow it’s more than just a town. It’s a time, a philosophy, a way of life. Honest, just like the popcorn that bears its name. Popcorn, Indiana – tender pieces of joy made for you and your family. The maker of America’s #1 Kettlecorn offers a broad range of adventurous flavors for any palate. In addition to sweet & salty Kettlecorn, Popcorn, Indiana offers Sea Salt, Aged White Cheddar, Movie Theater, Chicago Style Caramel & Cheese and Smoky Queso. For those looking for a bit of indulgence there’s a range of decadent Drizzlecorn® flavors including Black & White and Dark Fudge Sea Salt Caramel. All Popcorn, Indiana products are made from non-GMO corn and contain whole grains. Popcorn, Indiana snacks are available at national, regional and local retailers across the U.S. and Canada. We Live for Popcorn™. For more information, visit www.popcornindiana.com.